Our innovative solutions make mounting (and storing!) 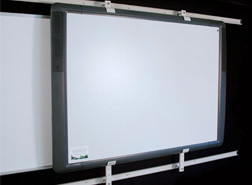 interactive whiteboards, projects, dry erase boards and flat screen TVs easy. Our systems have already been installed in thousands of classrooms and boardrooms worldwide. 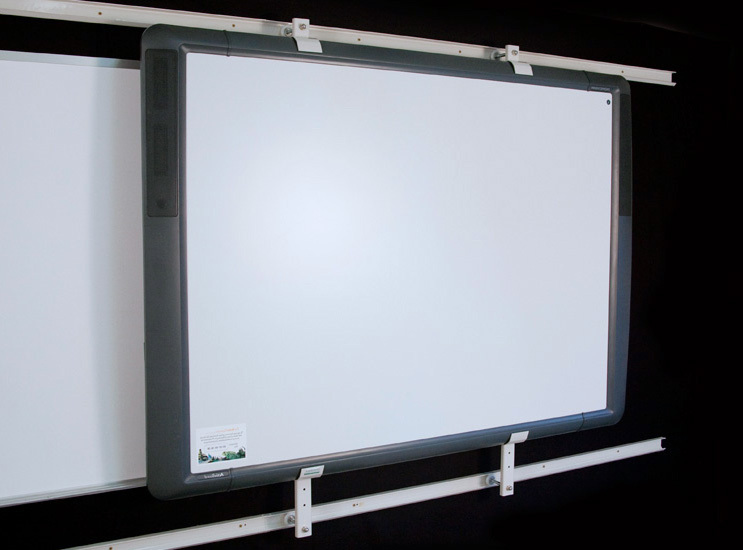 Whether you are mounting an interactive whiteboard, a standard or interactive projector, dry erase board or a flat screen television, we have a solution for you. Back in 2007, Track Technology Systems began focusing solely on the development and manufacturing of wall mount systems which enables anyone to mount the media device of their choice that they use to communicate with every day. Our patented flagship product, Diversitrack , is a track mount system that enables you to install your media device in front of your existing chalk board or dry erase space and slide it aside effortlessly when not in use SAVING your existing dry erase or chalk board space. 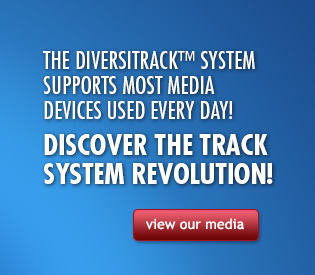 Along the way, we have proven time and again that Diversitrack is less costly than either drilling into or removing your chalk or dry erase board. 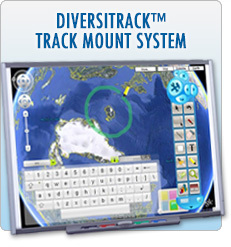 Best of all, Diversitrack is easy to assemble and install. Track Technology Systems also manufactures Diversimount , a stationary over-chalk-board mount for your favorite media device. Borrowing design queues from Diversitrack , Diversimount is universally compatible and assembles with just two fasteners making it the quickest and easiest mount to install. 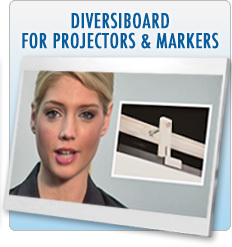 Our newest product, Diversiboard, is a dry erase board replacement made like no other in the industry. Diversiboard is a one-of-a-kind steel panel surface designed for use in the classroom or boardroom. Diversiboard has two options. The first option, known as “PB” or Projector Board, offers a matte surface and is ideal for use with a projector. The second option, “MB” (Marker Board), is designed to add marker board space and carries a glossy surface. 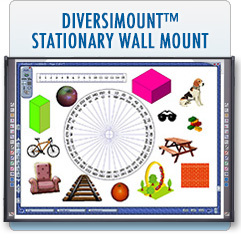 What is most unique about both boards is that they are designed to work with our patented Diversitrack mount system and Diversimount , our stationary wall mount system!